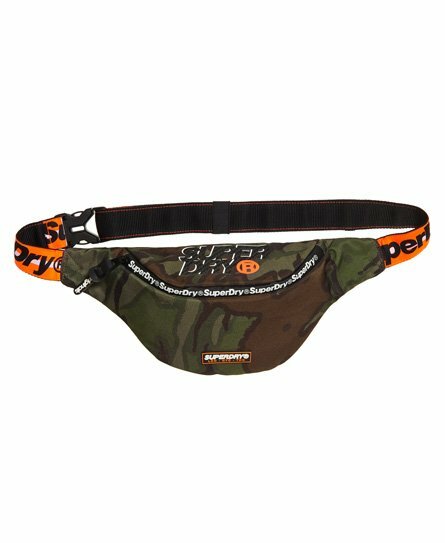 Superdry men's S Boy bum bag. Keep your essentials close by with the S Boy bum bag, featuring a main compartment with zip fastening, a branded adjustable waist belt with clip fastening and a branded zip pull. The bag is completed with a textured logo graphic on the top and logo badge on the front.